Up to 22 people, including children, have been killed and 59 injured in a suspected suicide terrorist attack at Manchester Arena. Fifteen-year-old Olivia Campbell, who was the subject of a massive social media search campaign, has died, her mother confirmed via a public Facebook post. Authorities also confirmed Campbell's death overnight and further revealed that Kelly Brewster, 32, also died in Monday night’s bombing attack. 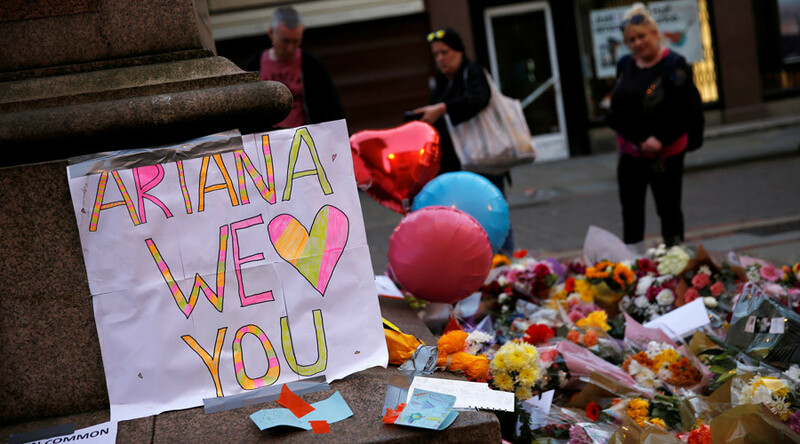 So far, the identified victims of the Manchester Arena massacre include eight-year-old Saffie Rose Roussos, Georgina Callander, 18, and John Atkinson, 26. The lights were turned off at the Eiffel Tower as the clocks struck midnight on Tuesday night to honour the victims of the Manchester attack. The "large scale" investigation into Monday's Manchester Arena attack is fast moving and making "good progress" the head of UK’s National Counter Terrorism Policing unit said in a statement. "At this stage it is still not possible to be certain if there was a wider group involved in the attack," Assistant Commissioner Mark Rowley said. "24 hours in, we have a number of investigative leads that we are pursuing to manage the ongoing threat." Addressing the raise in the terror threat level, Rowley echoed the prime minister's earlier remarks saying that another "attack remains highly likely, but a further attack may be imminent." Commenting on the initiation of Operation Temperer, Rowley said that "this is part of an agreed and well-rehearsed plan and military personnel will remain under the command and control of the police service." Ariana Grande returned to the United States on Tuesday, reports Reuters. The 23-year-old was reportedly greeted by family members after landing in her hometown of Boca Rotan, Florida. Grande has only made one statement since the attack which took place at the end of her concert: “From the bottom of my heart, i am so so sorry. i don't have words," the singer tweeted. "It is now concluded on the basis of today's investigations that the threat level should be increased for the time being from severe to critical," said May in a televised statement following a second emergency Cobra meeting. "This means that their assessment is not only that an attack remains highly likely but that a further attack may be imminent," she added. “This means that armed police officers responsible for duties such as guarding key sites will be replaced by members of the armed forces,” which will allow police to significantly increase the number of armed officers guarding key locations. May added that military personnel may also be deployed at events such as concerts and sports matches. Theresa May will chair her third emergency Cobra meeting at 9.30am on Wednesday, Downing Street has said. This is only the third time the threat level has reached this phase.